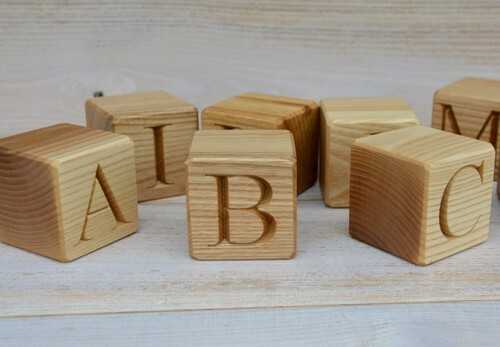 26 Natural handmade wooden English alphabet toy building blocks with engraved letters from A to Z. 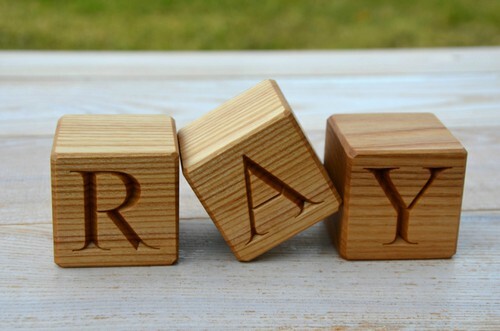 Letters are engraved on two sides of each block. It allows to make even some sentences from these blocks. Smooth surface. 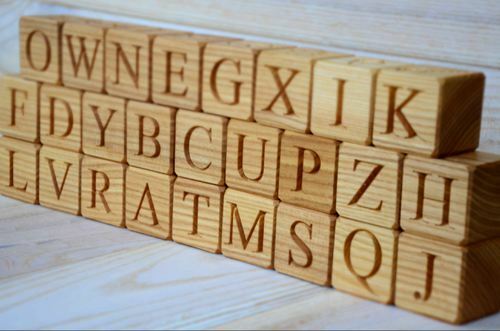 The blocks are made of ash wood, treated with natural linseed oil. Packed in a linen bag. Learning letters is fun! Letters engraved on two sides of each block. 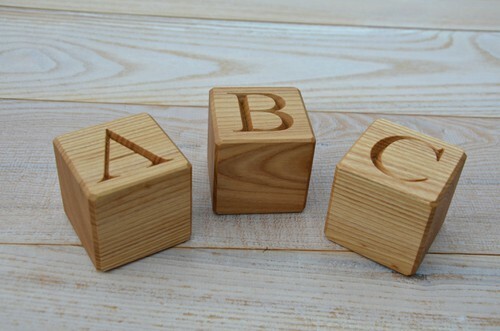 Wooden blocks are one of those few toys that will last for many decades...and children will be willing to play with them again and again. Children enjoy this toy from toddler age to age 13 and even beyond. 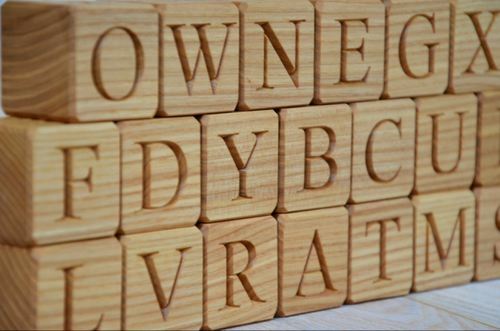 This means that wooden blocks are a great investment! 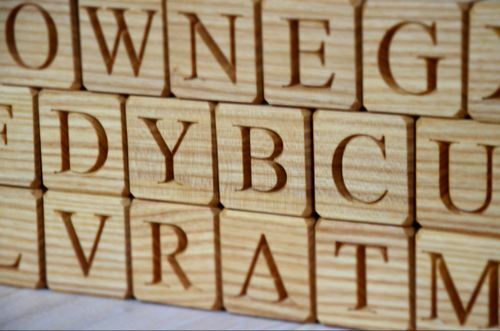 Wooden blocks are a very versatile toy. 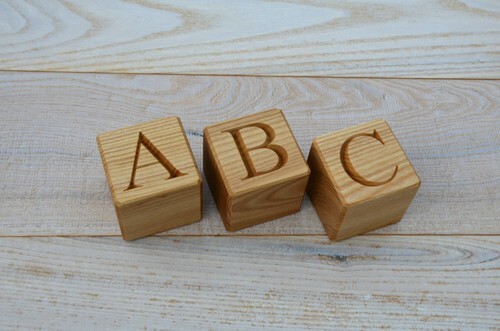 They don't just do one thing – they can be whatever the child wants them to be – a house, a castle, a car, even a telephone...You can make towers from these blocks and you can also learn English alphabet having a lot of fun!